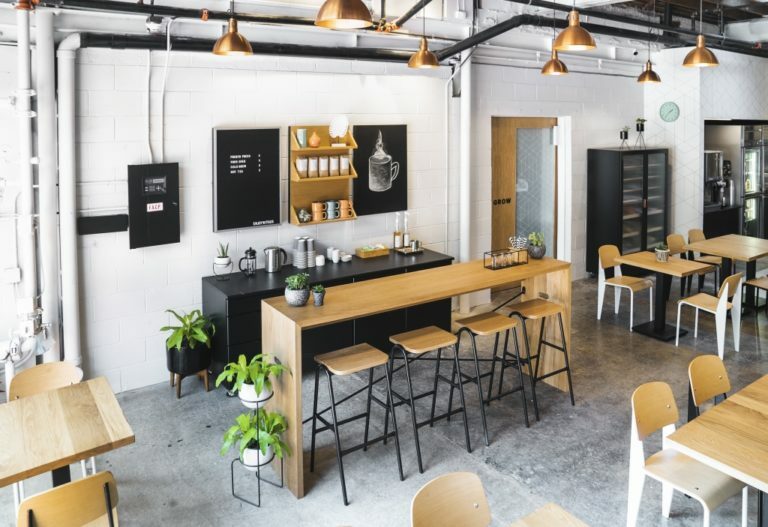 Designing business interiors requires a thoughtful eye to both function and brand aesthetics. But when a building hosts one business by day and another by night, flexibility becomes key. Christie Thompson is a lead strategist for Campfire & Co., a Richmond, Virginia, branding agency that creates websites, graphic identities, marketing plans, and interior environments. 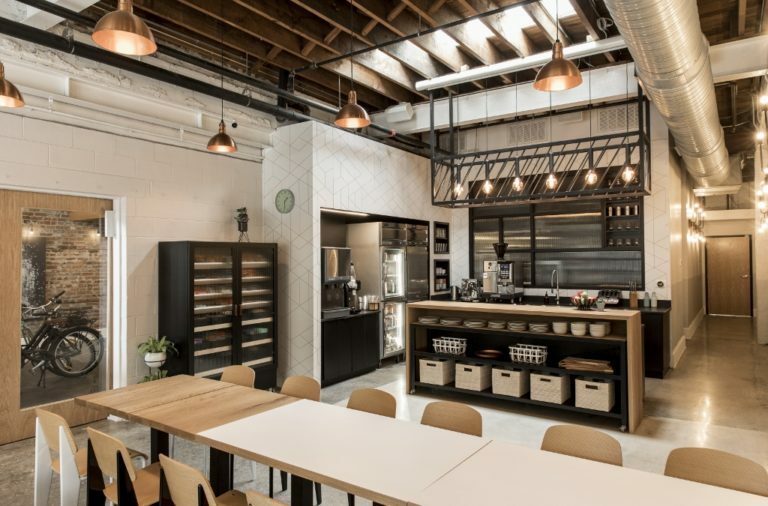 The team recently tackled the renovation of a restaurant into a multi-functional and multi-use office space. 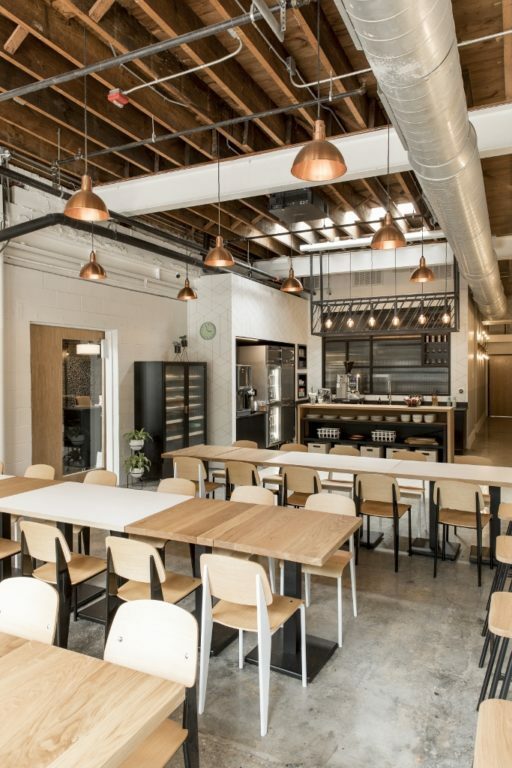 Grow uses the space for meetings and daily lunches for their staff, but at night and on weekends, Grow’s pop-up venue, called ENJOY: is used as a commercial kitchen, a movie screening venue, a workshop location, and more. 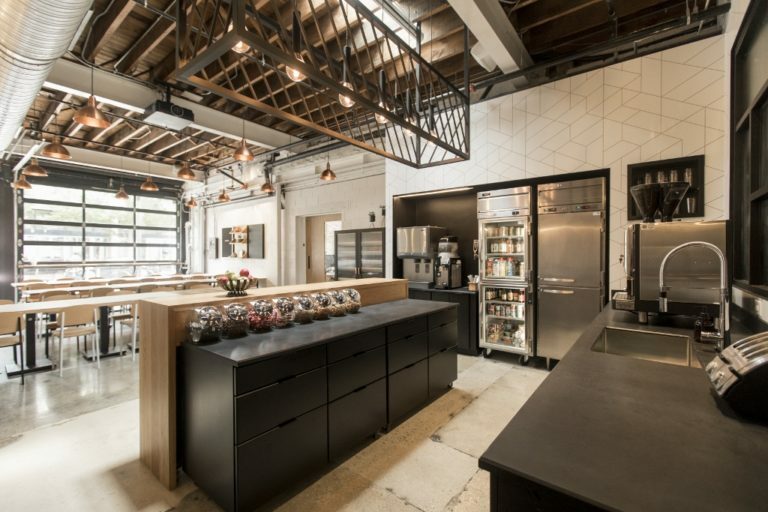 Because the space has an industrial feel, Christie wanted to add metallics to allow light to bounce off the finishes. 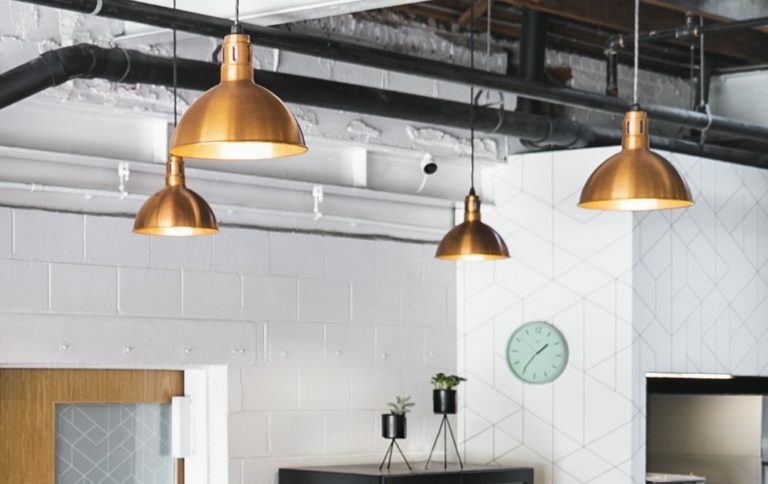 She chose the Wesco Vented Cord Hung Pendant in Raw Copper to add the dramatic touch she envisioned. She customized these hand-spun copper lights with 12″ shades and vertical slot vents. “The vents are great to let light out and up, not just within the shade,” she notes. 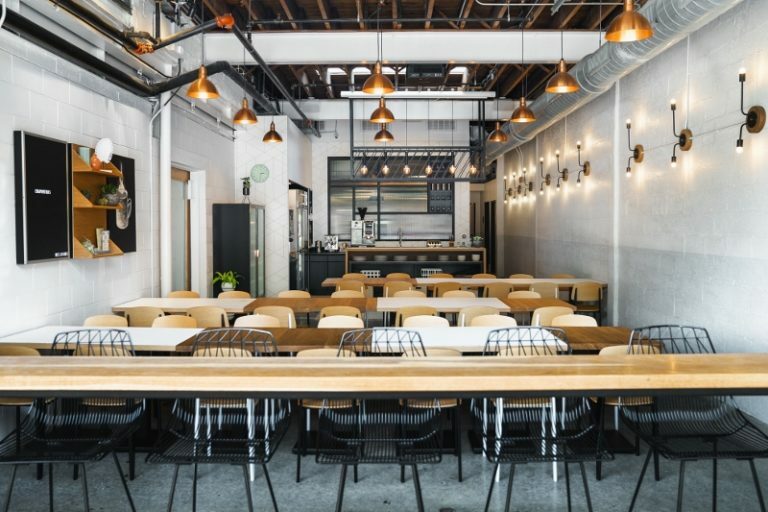 “The size was chosen as it fit the scale of the room and the ceiling height.” The industrial barn lights, combined with the rest of the modern space, create a look that is unique but still complementary of Grow’s brand. “The flexibility of the customizing options is a huge reason why we love Barn Light Electric,” Christie says. “Being able to pick a specific size and cord color is great for finding pieces that feel unique to a specific brand.” She adds that Barn Light is one of her company’s go-to lighting sources. Photos courtesy of Campfire & Co.